In an extension of Ford's global initiative to rationalise costs and improve margins, the company's Indian arm has also decided to focus on facelifts and JV products in the Indian market up to 2020. This comes as the company also reduces its platform globally from 9 to 5. Also, even in its home market of the USA, Ford has stated it will shift focus from sedans to SUVs, alongside halo products like the Mustang. 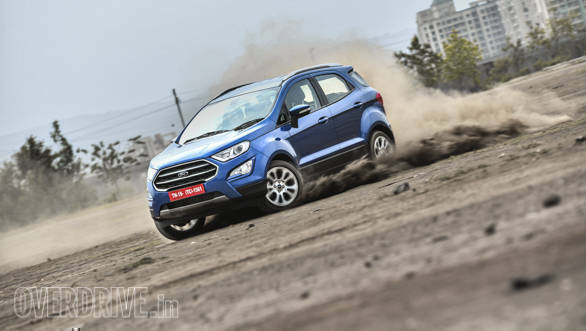 This means that the Indian market will see facelifts of the company's existing line-up of cars like the Figo, Endeavour and Mustang and few more products which will be a result of Ford's recent tie-up with Mahindra. This is a part of a wider range of cost-cutting initiatives as the company tries hard to turn its Indian business profitable. Other measures include reduced perks for employees, reuced hiring and doing away with expensive office spaces. Speaking to TOI on this matter, a spokesperson from Ford said that these maesues were being undertaken to reduce material and structural costs and use their capital in areas taht customers will appreciate and value.